Constructing a home is not an easy task and its important to hire a company that can complete the entire project from start to finish. Arranging of construction material, preparing the plans and looking after day to day construction can be quite a task in itself. This is where hiring Cook's Concrete Construction for your construction services can assure a complete job. Our experienced professionals will ensure that the work is completed in the best possible way. As professional contractors we are experts in concrete construction and provide the best services to our clients. We aim to complete our work within the specified time so that there are no hassles for you. From the beginning to the end, we will be with you to provide the highest quality results. When people hire local construction services, they often think that the work begins the moment the building starts to come up. 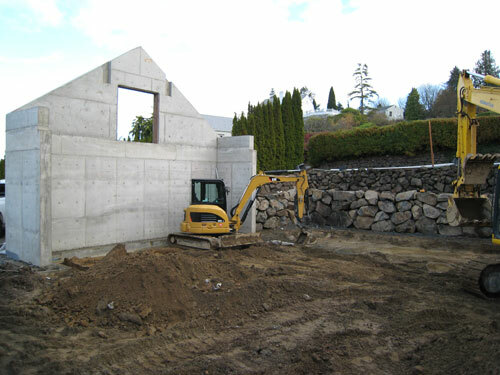 However, the first and most important aspect of constructing a building is site preparation. Depending on the location of the site, the extent of site preparation required can vary. Removal of old tree stumps, leveling the ground and removal of large stones and other items can be a tiring task which requires enormous planning. 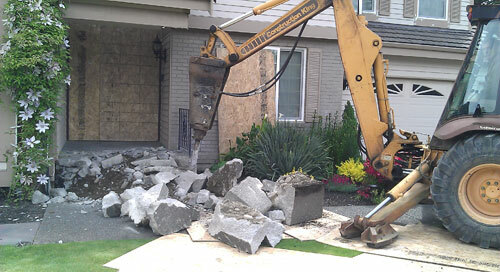 Many times, construction services require not just constructing the building but also demolition as well. To make room for new building and additions, older ones must be removed. This work needs extreme care and expertise to be carried out safely. Tacoma residents can now be assured that their demolition needs will be taken care of. 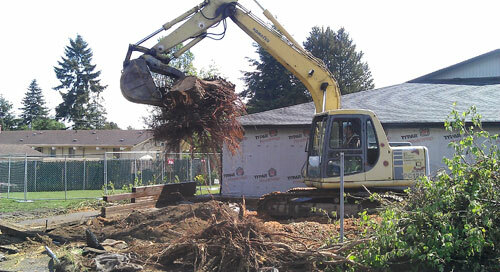 At Cook’s Concrete Construction, we provide complete land clearing and excavation services at affordable prices. As professional demolition contractors we are experienced and your hazardous project will be completed safely. Call us today for the best construction services in the greater Tacoma area.